There is a lot of debate in the UK about the state of our National Grid and how we will produce enough power to ‘keep the lights on’ during peak periods of demand. Basically the UK grid reserve which has typically been around 15-20% will drop over the next two years to less than 5% as we switch-off coal fuelled power stations ahead of replacement nuclear facilities. Renewable power will help to fill some of the gap in power generation. In December UK wind turbines provided over 10% of total grid power but more than this is needed to raise the reserve back to a comfortable level. At the same time, demand for power is increasing as the UK population continues to grow (mainly through ‘open-door’ immigration policies), more appliances are connected and the country develops its data centre industry which is itself a high energy user. So how do smart meters help the situation? Smart meters are quite simply replacement meters for your standard home or business gas and electricity meters. As well as metering, they include wireless technologies (mobile-phone signals) that can continuously transmit energy usage and metering information to whomever can receive it. Within a home (or business) environment this information can be collected and viewed on a local monitor, smart-phone, tablet or PC with historical information stored for further analysis. With real-time monitoring information you can identify your own peak energy demands and isolate systems that use too much energy. You can also monitor the impact of replacing traditional electrical, lighting and heating systems with more energy efficient ones. This in itself will help you to reduce your power consumption, lower your energy bills and overall carbon footprint and emissions. 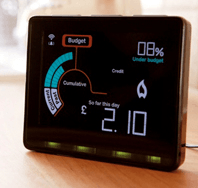 Using a smart meter will also allow you to switch energy suppliers more easily. For the energy suppliers, smart meter adoption will bring an end to estimated billing and the need to collect meter information via mobile meter reading teams and/or website portals – where you update your readings on a quarterly or monthly basis. With a continual stream of data energy suppliers will be better placed to monitor and manage energy consumption as part of a wider smart grid. The UK government estimates that smart meters could save customers and energy related companies up to £3.6billion over the next 20 years. The costs of the smart meter program (covering their purchase and installation) could cost more than double this. Whilst consumers won’t have to directly contribute towards this (as the cost and maintenance are supposed to be covered by their energy supplier), they will indirectly. A proportion of an energy supplier’s standing charges always covers infrastructure and maintenance. The UK government is committed to a nationwide roll out of smart meters to all UK-users by 2020 with set rules covering data access, security, technical standards and how to safeguard the needs of vulnerable users. The debate is still open on how far smart meter technology can go. It could be extended to give energy suppliers the ability to cut-off certain users at peak demand times or even a selection of the ‘smart’ appliances they are running. One thing is for certain however. Smart meters are needed for a smart grid to work. Without them the UK will experience more frequent power stability issues and potential power cuts.